I’ve been extremely impressed with the accuracy of the transcripts we receive. The attention to detail is fantastic and unmatched. And they deliver their transcripts within 24 hours! Flawless Transcription always delivers accurate transcriptions without missing a deadline. If I need something turned around quickly, I can relax knowing Flawless Transcription will get the transcription done well ahead of deadline. LOVE working with Flawless Transcription! 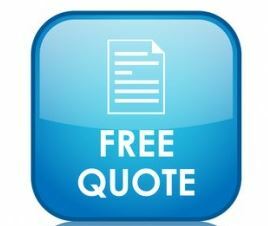 Great customer service, fast delivery and accurate transcripts. Flawless Transcription and David Deutsch have become our go-team source for captioning and transcription. The service is always prompt, the price is the most competitive and the work is, well, flawless. Flawless Transcription provides exceptional transcription services very quickly at a competitive price. Responsive and accommodating, Flawless is a friendly and reliable resource for our transcription needs. Flawless Transcription consistently provides outstanding service, fast turnaround, and accurate transcriptions. I’ll continue to call David because he’s friendly and easy to work with, and he’s able to manage my deadlines, always at a price that makes my clients happy. The team at Flawless Transcription helps us regularly with very fast-turnaround projects. Their closed captioning is rock-solid and they are absolutely reliable. We recommend them highly. Transcription sounds like a simple task, but we need to know the firm we use will provide an accurate and reliable product. Flawless Transcription always delivers on time and on budget. We can rely on them to get the job done. Professional, quick turnarounds, and legit “flawless” transcription & captioning despite my grammatical errors and slang. I’m a YouTuber who pumps out videos two times a week with loads of chatter and Flawless manages to keep up! Thrilled I found them and you will be too! I’ve been working with David Deutsch at Flawless Transcription for over 6 years. He has consistently impressed me with the level of care, expertise, and punctuality in delivering the final transcripts. I can’t say enough about Flawless Transcription’s closed captioning services. Flawless Transcription never misses a beat and always delivers on time.